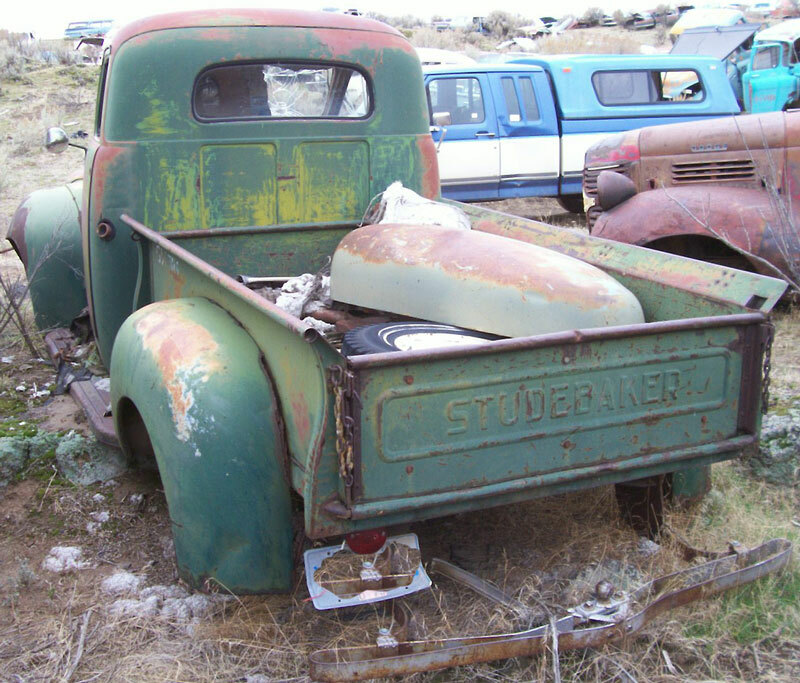 This Shenandoah green 1946 Studebaker M5 1/2 ton pickup is a mostly-complete body and frame ready to be restored or customized. The body has excellent dry western sheet metal, except there is some rust in the left rear fender where it joins the box and the running boards are rusted at the mounting brackets. There are a few bullet holes in the sheet metal. Both front fenders have repairable dents in the front. The rear fender tails have a couple small dents. The grill is dented and bent. The headlight trim rings are missing.The running board sides are dented. The bent rear bumper and mounting brackets are off the truck. 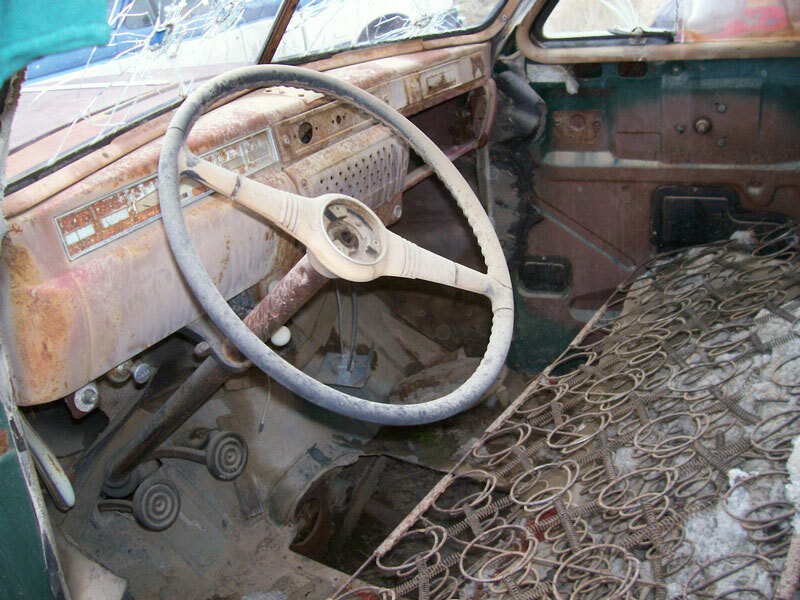 The dash and gauges are all there except the radio and glove box door are missing. The horn button and inside/outside door handles are gone. The floor is solid. The center transmission inspection pan is gone. 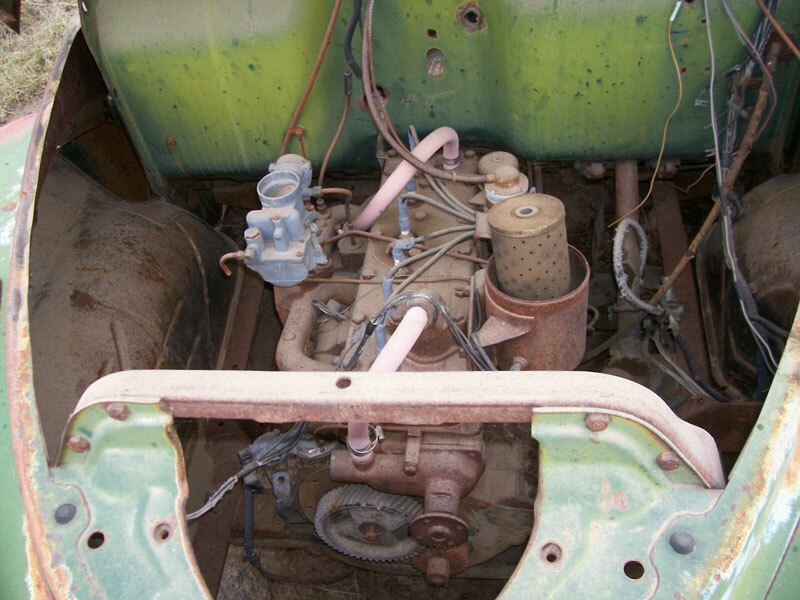 The 170 CID L-head inline six cylinder 80 hp motor is partially stripped and there is no radiator, transmission or rear end. The suspension is gone and the frame looks solid. 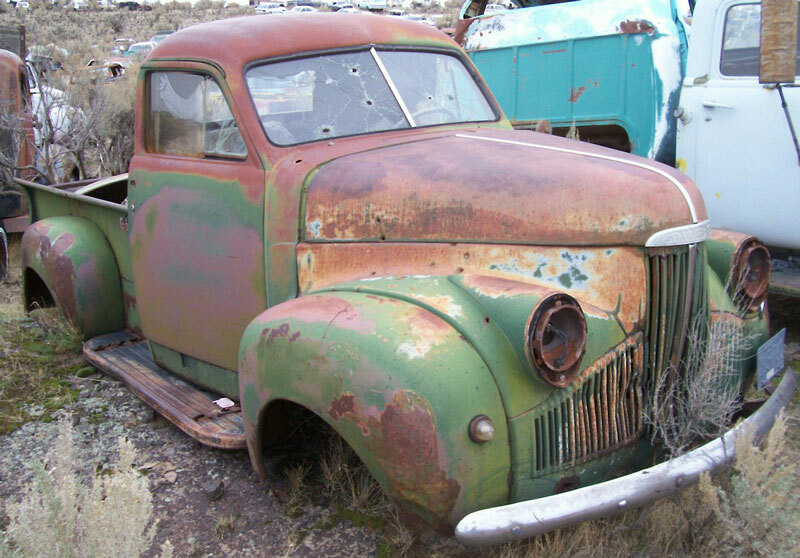 Here is your chance to use this truck body for a restoration or build a custom truck with a later or updated power train.